Why is it that some of the greatest paintings were painted between 1910 and 1920 when surely most people’s thoughts would have been on horrors and sadness of the First World War? Was it because of the advances in photography or development of better paints, most notably the cadmiums? 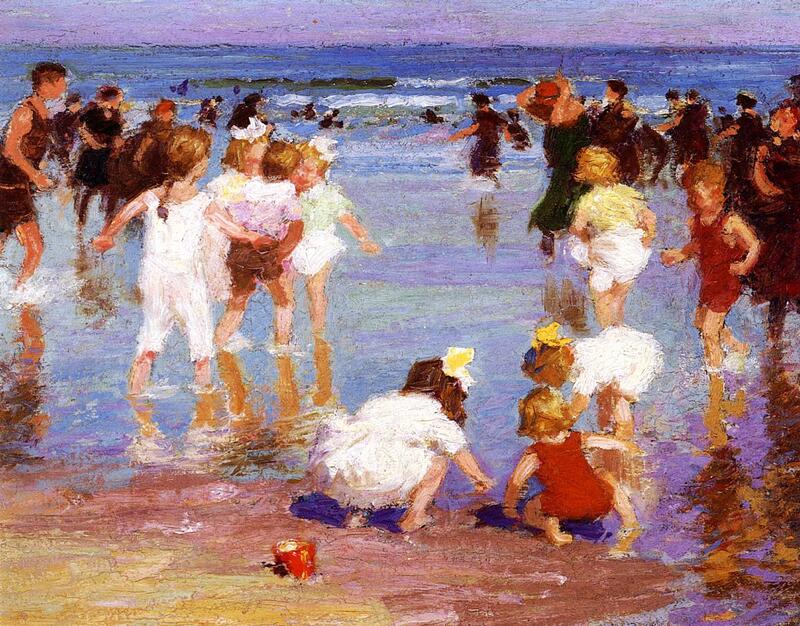 Edward Henry Potthast is an artist that I keep stumbling upon and keep meaning to look into more. 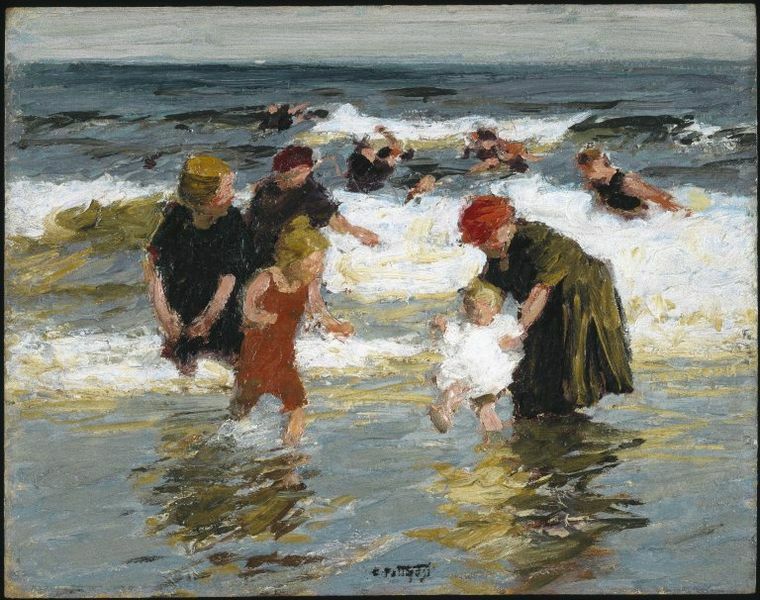 Potthast was born in Ohio, USA in 1857 and died in his New York studio in 1927. He is renowned for his beach paintings which have a lot of similarities to those of Joaquin Sorolla who was living at a very similar time (1860-1923).